You’ve got an ebook reader (or a laptop or netbook with ebook reading software) now you just need some free books to put it to good use. Read on as we show you the best places to score free books online. There are quite a few places where you can pay for books online such as Amazon’s Kindle bookstore, Barnes and Nobles’ Nook bookstore, and the Google eBookstore—among many other options—but what about scoring free books? Let’s take a look at some of the more popular free book destinations online. Each entry includes information about the site and what kind of ebook formats the site natively supports. A few note worthy things before we continue. First things first, you’re going to need an ebook reader. This could be a physical ebook device like the Amazon Kindle, the Barnes and Noble Nook, or a Sony eBook Reader. It could also be your laptop, smart phone, or computer running ebook software—such as the Kindle or Nook software for PCs or a third party ebook reading software. Chances are that if you’re reading this article you’ve already got that part figured out; we just didn’t want anything to stand between you and your free books. Second, If you’re going to be converting between ebook formats (such as converting ePUB books to MOBI books for use on your Kindle) we highly recommend the robust and powerful open-source ebook management software Calibre—we can’t stress enough how awesome Calibre is for managing and converting your ebook collection. Finally, the following methods for finding free ebooks are all legal. We know as well as the next geek that anybody and their brother can fire up a BitTorrent client and download entire ebook libraries or simply hunt and peck in Google search results for PDF files; this roundup, however, is focused on legitimate channels for acquiring new reading material. Downloading these free books might make book publishers sad over their lost profits but they won’t send an armada of lawyers after you. Project Gutenberg is the grand daddy of free ebook web sites. Started by Michael Hart in the 1970s the original collection was a small assortment of books that Hart hand typed in order to digitize classic works of literature. Since then the project has grown enormously and now contains 33,000 books and documents in the public domain. You won’t find a larger or better organized collection of classics anywhere on the internet. 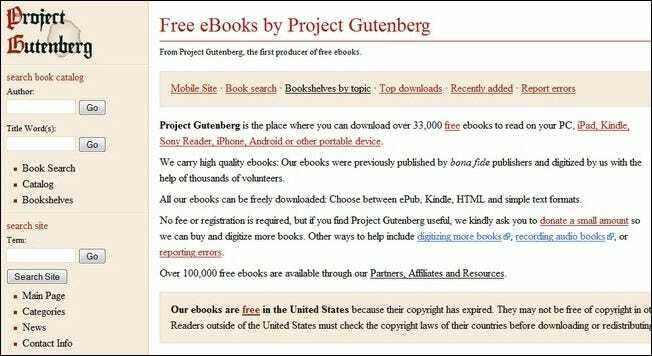 All the books at Project Gutenberg are free, legal, and available as ePub, Kindle, HTML, and basic text documents. 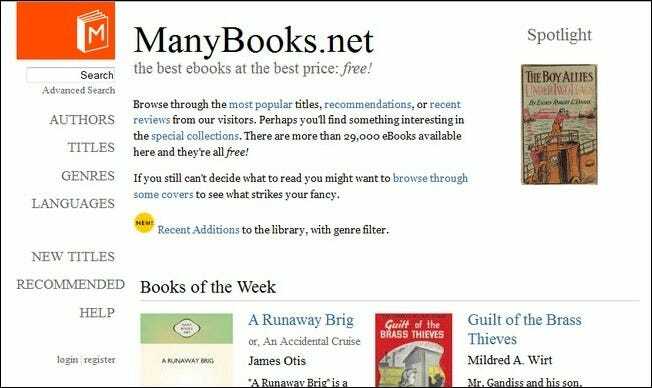 If you like the idea of Project Gutenberg—a massive index of public domain books—but you’re not a fan of their Spartan interface and text-only listings, then ManyBooks is for you. ManyBooks is essentially a Project Gutenberg mirror with some extras layered on top. Those extras include detailed entries for each book with summaries, cover art, book reviews, and books formatted in over 20 digital formats. If you’re looking for the Project Gutenberg experience with more of a modern digital bookstore feel and flair, ManyBooks.net is it. All the books are free and formats include LIT, LRF, ePUB, MOBI, PDF, and more. 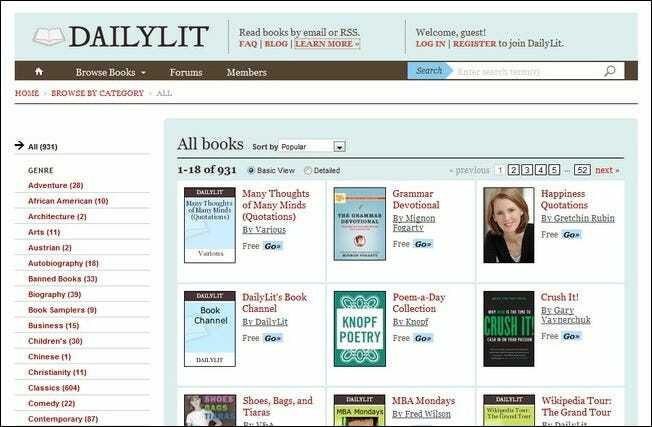 DailyLit takes a novel approach to ebooks. Rather than offer an entire book for instant download, they’ve essentially modernized the idea of the serialized novel. In decades past magazines and newspapers would print books, almost always popular fiction, in serial form breaking the book up into small segments. 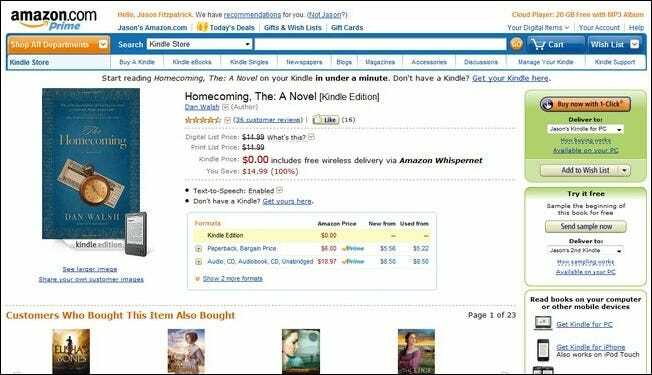 The publication’s readers were able to enjoy the book and the author was paid a lump sum by the publication. DailyLit takes that model and applies it to email and RSS. You pick out a book, they send you a chunk every day, and you read and enjoy it with a small bit of advertising attached. They solve two dilemmas which this arrangement: how to get commercial books in front of people for free and how to fit reading into a busy schedule. It’s not a perfect solution for everyone but the books are free and the topics diverse. DailyLit currently features a selection of around a thousand books. FeedBooks has a regular ebook storefront, but the part we’re interested in is their public domain and original books sections. Between the two they have thousands of novels, short stories, and poetry collections. It is one of the smaller collections in our roundup but we’re not going to complain—free but small is still free. All FeedBooks ebooks are in ePUB format. You may be wondering why Amazon, given its size, wasn’t at the top of the list. The hassle factor of using Amazon’s services—unless you’re a Kindle owner or Kindle software user—is quite high. None the less you can score some free books of both the public domain and 100%-off-promotion variety. 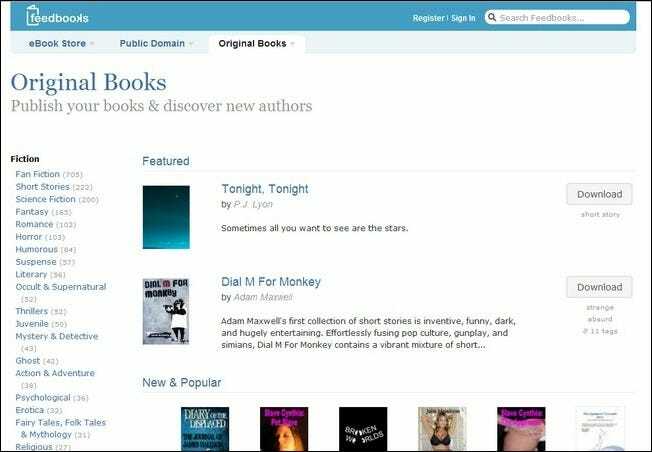 Amazon’s store has over 15,000 public domain books and hundreds of promotional books at any given time. To use the free books from Amazon you’ll need to send them either to your Kindle or to your Kindle software on your computer, Android phone, or other device. If you’re trying to rip them to another format you’ll need to use the software on a computer so you can easily access the files. Send the books to your Kindle for PC account, open the folder with your books, and dump them into Calibre. Public domain and completely free books are not encrypted and you can easily use Calibre to convert them to other formats. Books which are not public domain but are temporarily free as a promotion are still encrypted and cannot be converted in Calibre. 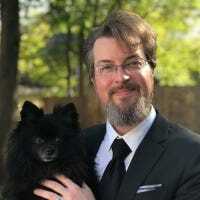 Still, if you really want to read a book that’s temporarily free in the Amazon Kindle bookstore, it might be worth loading the Kindle software on your computer or phone—this is one of the few methods for legally getting non-public-domain books for free-as-in-beer. Note: The Nook ebook store and the Sony Reader ebook store both have similar free section, though not as large as Amazon’s. Armed with the above links and tips you’ll never be short on reading material again. Have a source for free and legal books to share? Let’s hear about it in the comments.